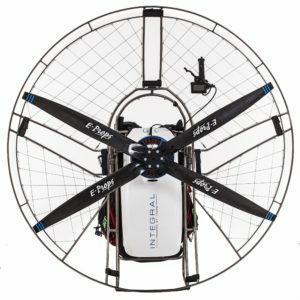 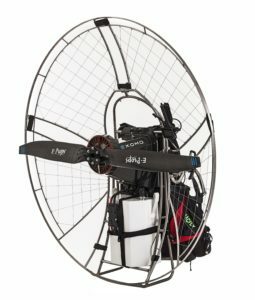 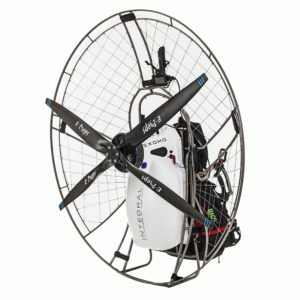 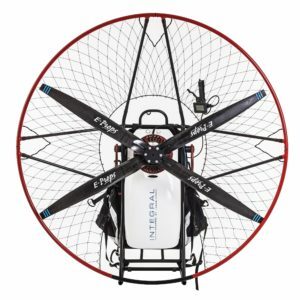 The concept of fully integrated electric paramotors ever easier to start up and with an increased center of gravity for more comfort to carry. 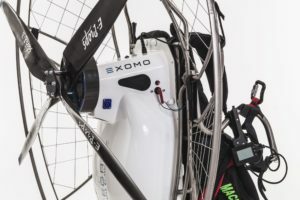 Equipped with a streamlined shell and still the 15 kW electric motor (more than 20 HP), the EXOMO Integral is already connected, it starts directly for an even faster takeoff ! 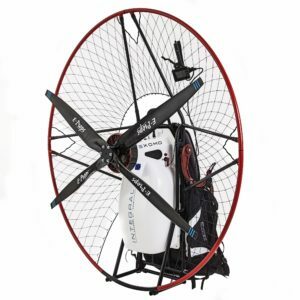 More than an electric kit, the pack is a complete set ready for operation, mounting it is easy on existing paramotor frames but you also have the option of purchasing a complete paramotor. 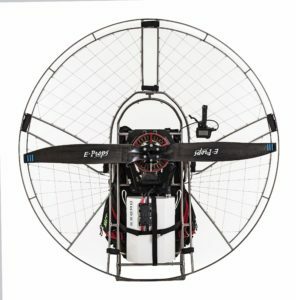 A “plug & play” propulsion system with a removable battery for quick replacement. 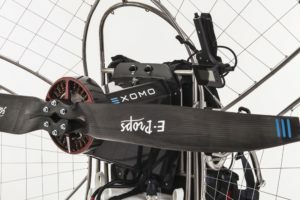 For increased flexibility , the EXOMO Classic electric paramotor allows you to simply plug/unplug a battery to transport it separately or replace it for another flight. 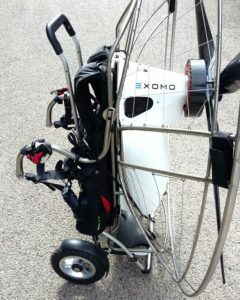 A TESTING CENTER, A DEALERSHIP ?